Rapid advancement in technology has brought in sea change in the restaurant and hospitality industry. It has become bit complicated as it is no longer a case wherein simple display of mouth-watering food dishes in paper/ booklet form menu is much entertained by the consumers. Consumers have become more demanding and less willing to tolerate delay in order taking and serving of food. They want a seamless dining experience. To deliver best-in-class experience to their customers, restaurants are increasingly tapping into their familiarity with technology so as to offer the easiest way to order and pay- restaurant tablet ordering system. In this article, we examine how restaurant owners can create an inimitable value proposition and differentiate from competitors by leveraging tablet ordering system. A tablet ordering system is one of the best ways to make food ordering process easier for your customers and win mindshare of the market by gaining competitive edge over your competitors. With use of latest technology, you can make guest experience unbelievably better, your job more streamlined, and your business more rewarding. A tablet ordering system means your guests can enjoy more control while placing an order. 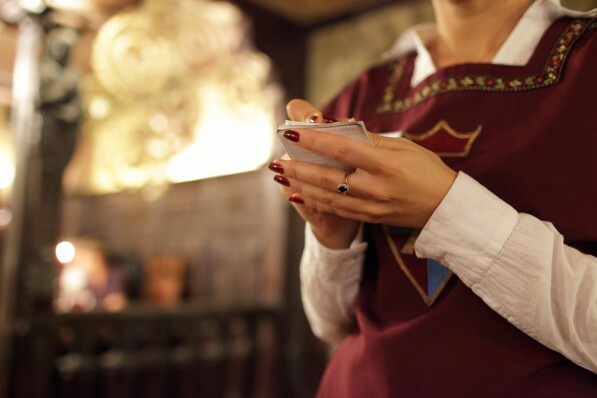 After being greeted by an affable server, the guests can sit and chat for a while and select the food items from the handheld device with ease. The best part is that the system can accommodate special requests and modifications, and enable them to label ingredients they are allergic to, which will help restaurant owner to serve them in a better way. When guests are finished with their meals, they can pay within few clicks and leave at their convenience. They need not to wait for the server to close them out. The tablet ordering system not only increases the probability of order accuracy (as it reduces server inaccuracy while taking down orders), but also expedite and improve the efficiency of service, both of which will lead to a superior customer experience. People enjoy having more control over their dining experience, which they can get through sophisticated restaurant tablet ordering system. Always remember, when a guest leaves your restaurant with a smiling face they would certainly like to come back time and again, leading to improved customer loyalty and spread of positive word-of-mouth and social media references. As mentioned before, tableside ordering system will help you win customer loyalty, which further will ensure increase in repeat visits as well as spread of positive word-of-mouth. Not only this, the increased service efficiency rate will also mean higher table turnovers, thus empowering the restaurant owners to serve more guests. With use of restaurant tablet ordering system, you can expect customers to spend more by ordering supplementary items and respond affirmatively to upselling- a different approach to augment profits. Moreover, you can save on printing costs of paper and booklet form menus, declining your carbon footprint. In addition, it enables you to effortlessly update menu items instantly, irrespective of restaurant locations (or only in selected locations). Through tableside ordering system, you can get to know better about your customers, as in which type of food item they like to order the most and how they like to make check payment, and more. It will enable you to expand your customer base and work on new marketing strategies with use of valuable data generated through restaurant tablet ordering system. Supermarket self-checkout counters, digital instant-pay tools, online ordering provision, and custom-made applications have indeed paved the way for tablet ordering systems in the retail industry. Nowadays, even customers are increasingly interested in taking up do-it-yourself things. So, invest in highly intuitive and user-friendly restaurant tablet ordering system today to make your customer experience much better and maximize your return on investment (ROI). Contact us today and one of our Sales Executive can take you through our smart iOS & Android based Tablet Ordering System.